Move mouse over image to view details. 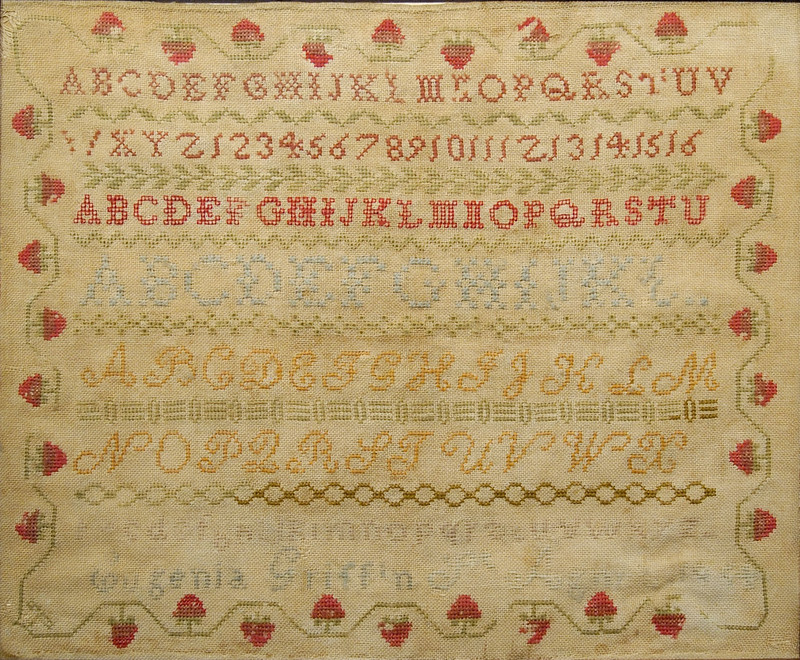 Eugenia Griffin (1843-?) was born in North Carolina, the daughter of Sarah Eppes and her first husband, William D. Griffin. When Eugenia’s father died, the family came to Tennessee where her mother married Dr. Hector Grant, and they settled in Phillips, Arkansas. Dr. Grant sent Eugenia to the St. Agnes Academy in nearby Memphis, as comparable female academies did not exist in Arkansas. 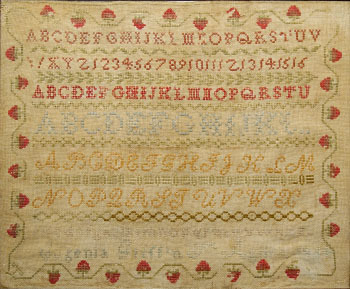 This sampler is one of six that can be attributed to West Tennessee. It is featured on our first set of note cards.